The television channel 'BeoutQ' emerged in 2017 after Saudi Arabia and its allies launched a diplomatic and trade boycott of Qatar, accusing the tiny Gulf state of supporting terrorism, which Doha denies. "A rights holder’s stance on beoutQ’s piracy – in other words whether they’re taking legal action, making a public stand, and doing everything within their power to combat the industrial-scale theft of their rights – is a critical factor that we’re now considering when bidding," beIN MENA managing director Tom Keaveny said in a statement. 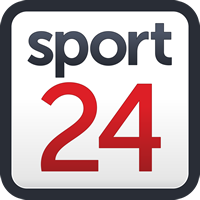 The sport, owned since 2017 by US-based Liberty Media, said last June that it was investigating alleged illegal broadcasts of its content in the Middle East and North Africa. "Formula One takes intellectual property infringement of this nature extremely seriously, we are looking into the issue and those that are involved and will take appropriate action," it said at the time. The overall contribution, in percentage terms, to Formula One's annual broadcast revenues of the beIN deal was put in the mid-single digits and a replacement broadcast deal was close to being finalised.